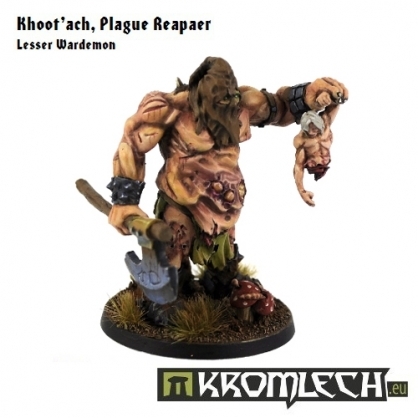 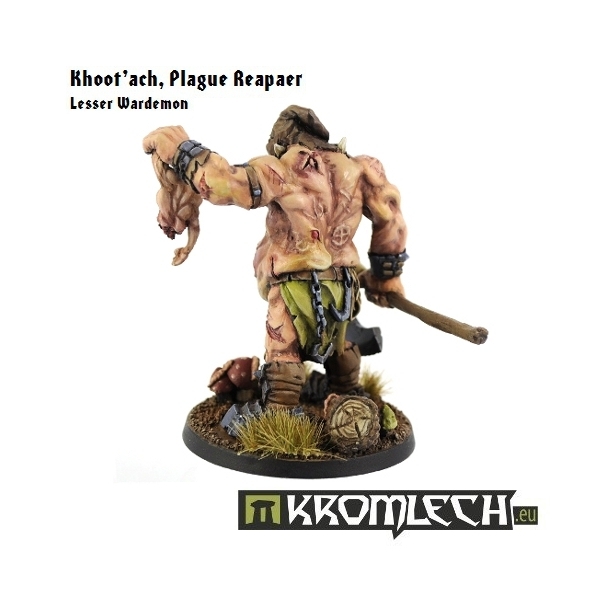 This set contains one resin Khoot'ach, Plague Reaper model. 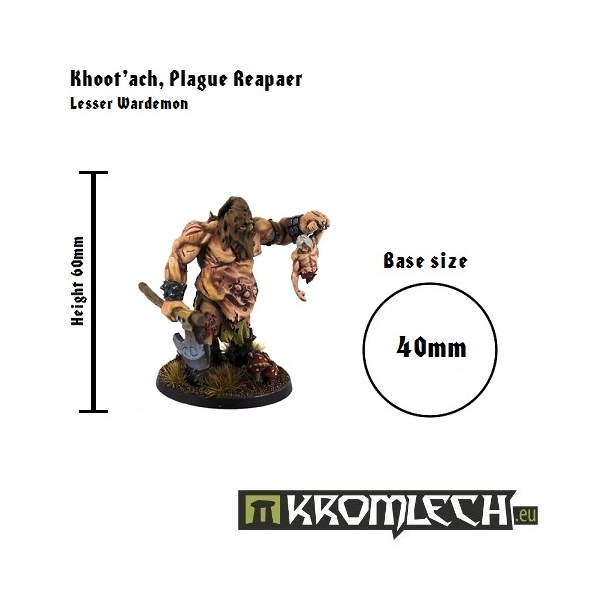 It's three part miniature (body, hand with axe and hand with victim) that comes together with 40mm round plain base. 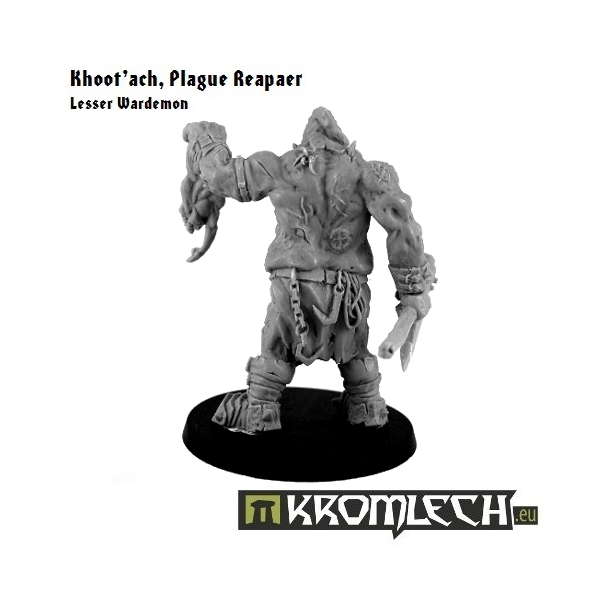 Khoot'ach is specifically sculpted for 28mm heroic scale tabletop wargames. Can be used as mutated warlord or herald of plague. 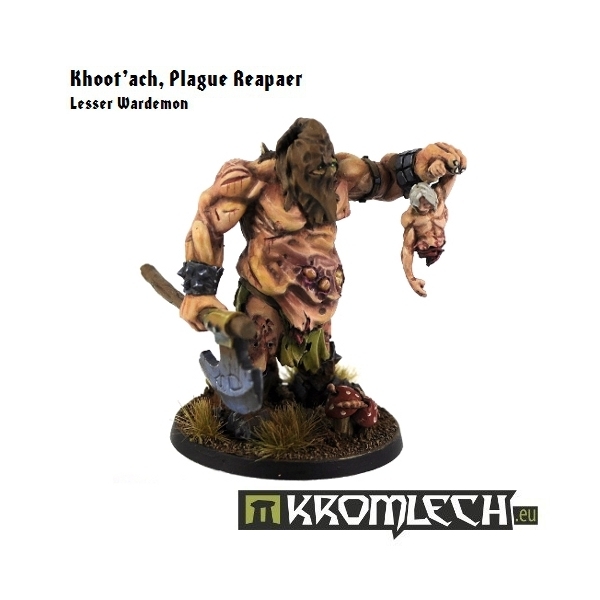 See below for 360* view of the model.